PUBG's imaginations are running wild in the Update 27a and make sure you read till the end for the surprise. If you haven't heard of PUBG, you're probably living under a rock for the past year. Ever since the popular battle royale game made its mobile debut, it has been making the headlines for both good and bad reasons. For millions of PUBG players out there, the game is the gold standard of the battle-royale genre and the sight of a new update brings unmatchable joy. That said, one can imagine players' excitement shooting through the roof when PUBG revealed Update 27a patch notes – by far the most extensive one yet. The update talks about introducing several changes, including a new map, level 4 armor, 15X scope, vegan dinner reward for vegetarians and much more. "Continuing on the coattails of our recent balance patch, we're excited to announce even more big changes coming to PUBG in today's update. We've always tried to push the envelope here at PUBG, creating the most realistic Battle Royale experience possible, but today we're taking that commitment and shooting for the moon!" PUBG devs wrote on the official blog. 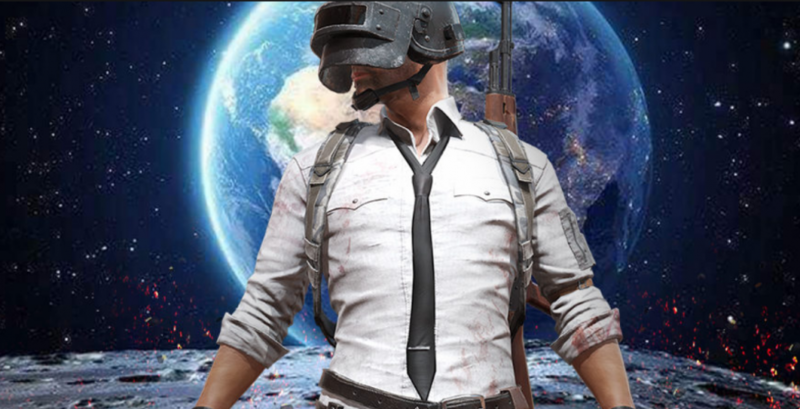 Moon map: PUBG says the popularity of Moonlight weather in Vikendi inspired to introduce a new map on the surface of the moon. It is spread across 3,476 sq. km. and has a new feature called Zero-G, which allows players to jump 10x higher, not receive fall damage and get flung for several meters slowly over time whenever struck with melee and shotguns. Oh, and players will also leave behind footprints on the moon. To give the moon map a more authentic feel, PUBG says there will be oxygen tanks instead of regular health boosters and the very Moon Rover to get to the safe zone. Finally, don't expect weather changes on the moon as it will either be lit or dark depending on where you spawn. PUBG also teased Survivor Pass: Cosmonaut. Revenge bomb: You can take enemies with you after you're dead with revenge bomb as it explodes when enemies open your death box. Squirt Gun: Enemies hit by this Vikendi-exclusive weapon will take damage over time as they gain stacks of frostbite. Squad limit: From just four members in a squad to 20, PUBG players will have a larger group to fend off enemies. There are also Stretch Limousine and Party Bus to commute together. Level 4 helmet: If a bullet cannot penetrate a pan, it sure can't a level 4 helmet, which is just another kitchenware. The only setback is it will reduce screen visibility considerably. Winner Winner Tofu Dinner: Why should non-vegetarians have all the fun? PUBG Update 27a patch notes introduce a new Tofu dinner reward for vegetarian and vegan players. Cook your meal: Frying pan is one of the most popular weapon in the game, but it can also be used to cook food now. Players will be able to collect components and cook their own Chicken Dinner and instantly win the match without surviving till the end. Pick up those eggs instead of Kar98 the next time. Heart attack: Energy Drinks, Painkillers, Adrenaline come with a health hazard in the new update as they increase your chances of getting a heart attack by 2 percent, 10 percent and 25 percent, respectively. Ride safe: The next time you fall from the scooter, you will injure your arm. Let me take a selfie: A cell phone will be added to your inventory for you to take selfies and post it on linked social media accounts while you wait for the zone or enemies. Wildlife: Players will also have to watch out for grizzly bears in Erangel, jaguars in Miramar, giant pythons in Sanhok, Yeti in Vikendi and Wizards in the Moon map. Your survival just got tougher. 15X scope: Players have been asking for 15x scope, but PUBG is doing you one better. Pistols will now accept 15x scope for those long-range shot. Don't even get us started on the mechanism or physics here. Step counter: Lagging behind on your daily step count while playing PUBG? The new update adds in-game steps towards your daily total. It's a win-win-lose situation. Full Auto Mode in sniper rifle: Kar98k, M24 and AWM will now get full auto mode. Say goodbye to loading bullet after every shot. Don't jump: If you don't feel like jumping off the plane to go on a killing spree, you can choose to stay in the plane and you'll be flown back to civilisation. If you feel this is all too good or too crazy to be true, go with your gut. There is no way PUBG is going to give you a taste of Update 27a as everything is a part of its April Fools' Day prank. If your heart kept pumping harder with every new feature that you read about here, sorry to disappoint you. But players would have realised it was nothing more than a prank seeing how ridiculous these new features were. Things like 20 members in a squad, 15X scope on pistols, revenge bomb, vegan dinner and wild animals were a stretch. But the idea was to have fun and PUBG devs ran their wildest imaginations in the making of this prank post.